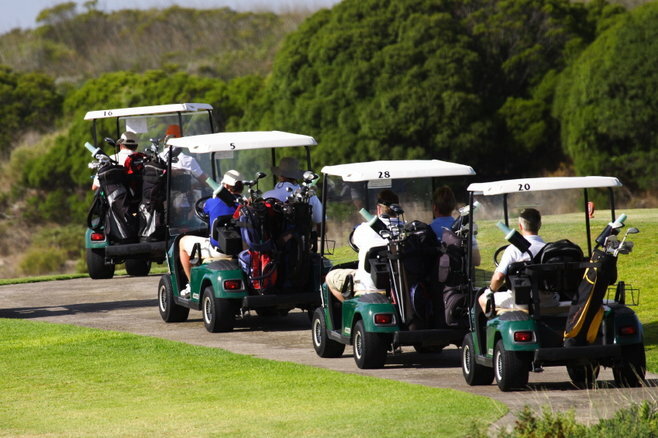 One of the driving forces of regular golfers is to lower their score. One could say a golfer is never 100% satisfied with his or her game, even when they shoot a great score. So how is success in golf best measured? One doesn’t have to hoist a trophy or cash a paycheck to be an exceptional golfer. For many of us, it's not enough to just play the game on a regular basis. We want to be good at it. According to the USGA, 25.1% of golfers with an official handicap have an index of 10.0 or better. That's 1 out of 4. So what does it take to become one of those single-digit golfers? Here is a list of traits that separates the exceptional avid golfer from the pack. To become an exceptional golfer, it all starts and ends with practice. There is no substitute for working at the game. However, practicing the wrong things can be counterproductive, not helping lower the scores , or even harm your body. Simply put, practicing bad habits will hurt your game like nothing else. Take lessons from a PGA Pro. Establish a routine and stick to it. Simply playing golf, even on a championship golf course, isn't enough to make you an exceptional golfer. The best way to ensure you hit fairways, get approach shots close to the hole , and hole putts, is to put in the required hours on the range and on and around the practice green. And when that practice is structured and directed properly, you will eventually reach your potential as a golfer. We've all heard the adage "Drive for show, and putt for dough." Popular sayings are popular for a reason. The quickest way to see results on the scorecard is to get up and down when you miss a green, and eliminate the three-putts. Most beginners spend most of their practice time hitting full shots on the range, but professionals spend more time working on their short game. The short game helps the ‘brain game’ as well; as you will be less likely to miss a green if you know your short game is sharp. Likewise, if you’ve practiced enough to become proficient on short putts, your lag putts will be better, and both will prevent against three putting. Finally, successful up-and-downs can really be a boost to a round, maintaining positive momentum that can lead to subsequent birdies. It's said that it takes 10,000 hours of practice to develop a particular skill, so don't expect to master a new technique in short order. The plan should be to build your game one step at a time, remembering to apply patience all along the way. Patience is a great tool that can be beneficial to use during a particular round as well. Gary Player once said, "A good golfer has the determination to win and the patience to wait for the breaks." Many a round has been ruined by the player being too anxious and hurrying the play of a particular shot or hole. In today's game, having the proper equipment can help separate a player from the pack. Whether it's clubs or grips or golf balls, be sure to find the tools that will allow you to play your best. Know your game by being familiar with your strengths and weaknesses. Finding the right combination of clubs, shafts, ball, etc. can help mitigate weaknesses. Once you have maximized what your game can get out of equipment, then you can be confident that nothing is missing in that regard. Confidence is perhaps the most important characteristic of an exceptional golfer. Not every shot will be perfect – in fact, few will be – but confidence in your ability will allow you to make the free, and correct swings that will undoubtedly help your score. Confidence cannot be faked. Confidence comes from all the hours of practicing the right things, over and over again. And, confidence breeds more confidence. One successful round of golf can lead to another, and so on. Golfers that are playing with confidence don't see the trees, they don't see the water or the bunkers. They see themselves hitting good shots flying towards their targets. Exceptional golfers understand that their mental approach to hitting the ball is as important as any other skill set within the game. They never get too low after bad shots, and they never get too high after a great one. The best golfers stay in the moment, which is easier said than done. The key is to be in the mental state to best analyze and execute the next shot. After all, a hole, a round, and a tournament are all made up of individual shots. Staying focused on one shot at a time pays great dividends in this game. Exceptional golfers have the ability to understand where potential problems will arise during a given round based on their own weaknesses. They also know their strengths. You should make it a point to know yours, and then play to them. There are endless distractions during a round of golf, and staying focused can sometimes be very difficult. A player is on the course for several hours, and it is not possible to concentrate the entire time. But successful avid golfers focus when the have to, and let their mind have breaks in between shots. When it’s time to concentrate on a shot, they visualize the outcome they want, and block out everything else. The scene of Bobby Jones' character from the movie "The Legend of Bagger Vance" is a terrific example. Looking for a present day example? Watch Jason Day's pre-shot routine.